Cinematographer Guillermo Navarro, ASC, once deemed today's films, "the Rosetta Stone of our times. They are how future generations will know who we were and what we thought, felt and did." The question is, Will today's films be there for future generations? Andy Maltz and Milt Shefter were on a mission to find the answer to that question when their research culminated with them writing The Digital Dilemma: Strategic Issues in Archiving and Assessing Digital Motion Picture Materials in 2007. (For an article about the report, from the Summer 2008 Documentary, click here.) 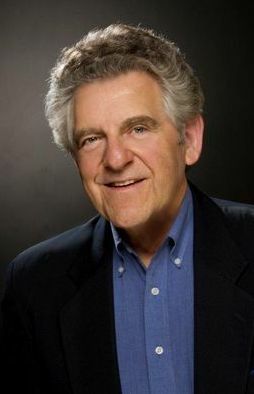 Maltz is the director of the Academy of Motion Picture Arts and Sciences' Science and Technology Council. 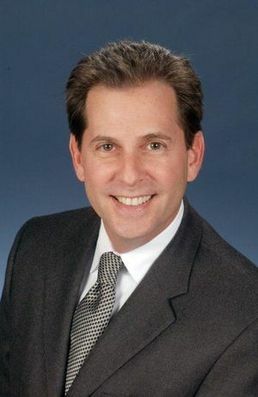 Shefter is a preservationist and president of Miljoy Enterprises, Inc., a media asset preservation firm that provides consulting and project management services. Left: Andy Maltz, director, Science and Technology Council, Academy of Motion Picture Arts & Sciences; right: Milt Shefter, president, Miljoy Enterprises, Inc.. Maltz and Shefter co-authored The Digital Dilemma 2. The Digital Dilemma dealt with narrative films owned by Hollywood studios, as well as other business and government institutions dealing with digital data. The report was sponsored and published by the Academy of Motion Picture Arts and Sciences' Science and Technology Council. The journey continues with the publication of The Digital Dilemma 2, which focuses on the archival status of independent narrative films and documentaries. The Digital Dilemma 2, published in early February, is a co-venture of the Academy of Motion Picture Arts and Sciences and the Library of Congress' National Digital Information Infrastructure and Preservation Program. Maltz and Shefter began their research in 2008 by sending surveys to independent narrative and documentary filmmakers and to nonprofit audiovisual archives. The lists of nonfiction filmmakers surveyed were provided by the International Documentary Association (IDA), the Academy of Motion Picture Arts and Sciences and the Academy of Television Arts and Sciences. Follow-up interviews were conducted with approximately 150 filmmakers who responded to the survey. Maltz and Shefter also interviewed archivists at audiovisual archives. "We believe this is the most comprehensive study ever done about the archival status of independent narrative films and documentaries," Maltz asserts. "We want everyone who is concerned about ensuring long-term access to yesterday's and today's films to be able to read the report. Anyone can download the report, which is posted on the Academy website. Educational organizations can get free printed copies upon request and anyone can purchase them. Hopefully it will inspire people to play a role in preserving films for future generations." Shefter stresses that film preservation isn't a new concept. The National Archives Act of 1934 recognized the value of preserving motion pictures for future generations. The National Archives houses one of the world's largest collections of newsreels and documentaries. The National Film Preservation Act was passed by Congress in 1988, as a directive to the Library of Congress to establish a National Film Registry and a National Film Preservation Board. Subsequent National Film Preservation Acts, in 1992, 1996 and 2005, called for the Library of Congress to establish a comprehensive national film preservation program for motion pictures, in conjunction with other film archivists and copyright owners, and created the National Film Preservation Foundation as a charitable organization. The mission of the National Film Registry is to restore and archive 25 pictures per year that fit the criteria of being "culturally, historically or aesthetically significant." Content varies, from a 1893 black-and-white film of a blacksmith at work to a music video featuring Michael Jackson, to the Zapruder film documenting the assassination of President John F. Kennedy, to home movies of the internment of Japanese citizens in the United States during World War II, to Albert and David Maysles' classic film Salesman. No one had to convince former IDA President Harrison Engle that preserving yesterday's films is an important issue. His 1983 film The Indomitable Teddy Roosevelt incorporated footage that a Vitagraph cameraman shot of the future president leading US troops in Cuba during the Spanish-American War in 1898. Engle recently produced and directed The Lost Kennedy Home Movies, a 90-minute documentary. The images are mainly 16mm home movies taken by members, employees and friends of the Kennedy family during the 1930s through the '60s. There was no copyright law for motion pictures until 1912. The producers converted frames of their films to paper prints, which were copyrighted and archived at the Library of Congress. In 1953, Kemp Niver, a former head of security at Paramount Pictures in Hollywood, got permission to copy the paper prints from 5,000 Vitagraph movies onto film, which is archived at the Library of Congress. Niver built an optical printer using a film projector built in 1917 as a main component. When asked what motivated his ambitious endeavor, Niver replied, "Every time a piece of film dies, a human thought dies with it. If I can do something to preserve that thought, isn't it worth doing?" A month prior to the publication of The Digital Dilemma 2, Paramount Pictures released the restored version of Wings on DVD Blu-ray. The classic 1927 movie won the first Academy Award for Best Picture. The restoration was made not from the original negative, which, like many works from the silent era, was lost, but from a fifth generation print. The restoration had special meaning for Shefter, since he had overseen the establishment of the archives at Paramount Pictures, and had also consulted with other studios. In June 2011, Cinema Libre Studio released the director's cut of Haskell Wexler's 1985 narrative feature Latino, about the civil war in Nicaragua, in DVD and VOD formats. George Lucas was the executive producer. Wexler drew on experiences he had when he spent nearly a year in Nicaragua shooting on 16mm film for a PBS documentary during the civil war in 1982. "Analog films are relatively easy to maintain," Shefter observes. "The original films will last for 95 or more years in proper humidity and temperature-controlled environments. Ken Burns used cinema newsreels going back to the 1930s and television news film in Baseball, his series of documentaries about the national pastime." Maltz and Shefter both observe that most documentary filmmakers they surveyed and interviewed did not seem concerned or even aware of the likelihood that their digitally acquired historic footage could be lost to future generations. "More than 60 percent of the documentary and independent narrative filmmakers who responded to the surveys and participated in interviews said that they have thought about migrating older digital files," Maltz says. "However, only eight percent of them said they regularly migrate content. Twenty-six percent said they do it occasionally." He adds that only a few of them were aware that in addition to the historic importance of preserving films, US copyright laws allow them and their heirs to financially benefit from their work for at least 95 years. "Most of the filmmakers we surveyed and interviewed have given little thought to what happens to their work after it is completed," Shefter notes. "Most of them pay for some type of storage of the master, but only a few of them store and archive their film documentaries in proper environmental conditions, or manage their digital masters using appropriate preservation practices. Many of these filmmakers depend on distributers to take responsibility for preservation." Shefter and Maltz point to another option. There are 550 public moving image archives in the United States and its territories and 310 in other parts of the world. The report cautions that some public archives aren't equipped for long-term storage of digital files. "Digital hardware and software technologies have finite useful lives," Shefter explains. "Hard drives will eventually fail and the evolution of computer technology and software will obsolete older files. The bottom line is that documentary and narrative films archived in digital format won't survive unless they are periodically migrated to new formats. "The digital dilemma is far from solved," Shefter continues. "We hope there will be a third report called The Digital Solution. We are concerned because treasured films will be lost if a solution isn't found. We hope that we don't have to explain to future generations who ask us, ‘Why didn't you save those important films?' "